AFP's CTP Exam | Study System, Prep & Practice: Practice Tests, Practice Exams, Sample Questions, Sample Tests, Study Guides & Flashcards for AFP's CTP Exam. Helping customers study for AFP's CTP ("Certified Treasury Professional") Exam since 2005. New Special, Under-Construction Pricing! Just $120 (25% off!) while the website is being modernized and under construction! TMExam Has Been UPDATED FOR THE FIFTH EDITION of the textbook. All materials (quizzes/questions/flashcards/etc.) now reflect the 5th Edition Textbook! All our materials have been updated for the latest version of the AFP Certified Treasury Professional (AFP "CTP") Exam and textbook (5th edition). The practice questions, practice exams, quizzes, flashcards and prep materials are fully up to date. We have been helping people pass the CTP exam for over ten years, and have one of the most comprehensive, proven test preparation systems on the market at a fraction of the price of comparable, premium practice systems. With TMExam's CTP practice system, you get far more than just flashcards or review sheets; you get access to a massive, 3,000 question database of practice exams, quizzes and questions. The AFP CTP Exam for certified treasury professionals is heavily content based. That means the key to passing is practice -- which is exactly what our system excels at: thousands of proprietary variations of CTP exam questions in our practice exam database help drill you on concepts, shortcuts, and formula usage. The best approach to passing the CTP Exam by AFP is working through a large quantity of practice questions. Flashcards or study guides alone won't be enough -- make sure you are well prepared by using a prep system that can actually drill you with over 3,000 unique questions. Invest in yourself. Make use of TMExam's extensive practice test system and our ten years of experience: let us help you pass the CTP Exam and get certified! TMExam is the Best CTP Exam Preparation tool available for just $149. We have been in the CTP Exam prep business for over ten years; unlike low-cost study-guides and flashcard systems, we have over ten years of proven experience to provide a comprehensive and effective studying system. Over 3,000 practice questions are at your finger tips to prepare you for the CTP Certification Exam. Comparable preparation and practice systems (with extensive question banks, practice exams, etc.) cost over $800 -- nearly five times as expensive. TMExam's system provides, by far, the best value to prepare for and pass the Certified Treasury Professional Exam. Most people assume CTP Exam material from TMExam.com will be $1,000 or more based on comparable products, but we worked hard to provide a comprehensive system with a huge practice question database of over 3,000 questions that is more affordable. The creators of this preparation system have actually taken and passed the Certified Treasury Professional exam, we know the test and materials well. This preparation system is the best online-only CTP Exam study tool on the market that isn't prohibitively costly. Invest in yourself, and let us empower you to pass the Certified Treasury Professional Exam on your first attempt! With over 3,000 Certified Treasury Professional Exam practice questions, our CTP Exam practice test questions covers CTP information provided in all 20 chapters represented in the Essentials of Treasury Management, 5th Ed text and the Learning System Treasury text. Additionally, we also provide sample CTP Exam practice exams that have proven to help our customers effectively and efficiently prepare for the Certified Treasury Professional formula requirements. In addition to our proprietary, 3,000 question database of practice quizzes and exams, you will also receive over 300 PDF Printable Certified Treasury Professional flash-cards covering content across the 20 chapters of the Essentials of Treasury Management text (5th edition). Get started right away, and use the flashcards as the first step in solidifying key concepts for the exam. Once you are comfortable with some of the formulas and concepts, move on to our practice quizzes and exams: use the practice tests to drill and reinforce the concepts so that you are lightning-fast at answering questions on the real CTP Exam when you take it. Let us help you prepare and pass! Our system empowers you and with practice will greatly increase your chances of attaining the CTP Certification. Let us help you stay on track and maintain a regular study schedule. TMExam's email reminder series for the CTP Exam provides weekly study reminders, study tips, and even motivational quotes. Our interests are algined -- we want you to succeed and we know how to help because we have been in this business for over 10 years. This will ensure that preparing for the CTP Exam with our study materials remains top of mind, and studying for the CTP Exam will remain a high priority. With TMExam's reminder email series, we bring aspiring Treasury Management Professionals like yourself one step closer to getting CTP Certification. Treasury Management formulas are one of the more difficult aspects of the Certified Treasury Professional exam for many test-takers. Our unique Treasury Professional CTP calculation practice sheets cover the essential math "at a glance" for quick reference, and for an easy reminder of the "shortcuts" that help you answer questions quickly on the CTP Exam. We want to make learning easy, and this is one of many extras in our preparation system that empowers you to pass the exam. To succeed on the exam, you have to practice the math and learn shortcut formulas: TMExam's CTP treasury prep calculation study material helps solidify the math formulas and shortcuts so you can blaze through quantitative questions on the CTP exam. Study for the Certified Treasury Professional test anywhere you want with our PDF-printable CTP treasury study material. We provide a variety of unique study sheets which cover broad treasury management certification topics, and also provide formulas for quick and easy reference. Your approach to studying for Treasury Management exams is a key determinant of success on the exam. When you use TMExam's prep system, you benefit from ten years of our experience in preparing test-takers for the exam. We can help you focus on what matters, and get the practice you need where you need it. Get every bit of edge for the exam, just one or two key tips can make all the difference and will help you become a Certified Treasury Professional. The CTP is a difficult certification, so let us help you get to the finish line together using our Certified Treasury Professional study guides and tips. 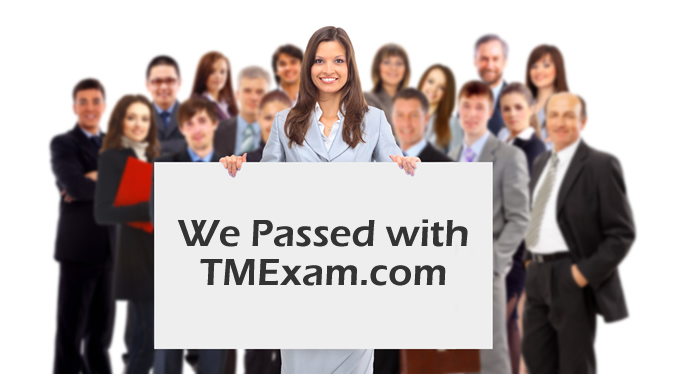 Over the last ten years that we have been creating and providing study tools, study guides, practice exams, practice tests and materials, we researched Certified Treasury Professional Exam test takers who used TMExam.com to pass the Certified Treasury Professional certification. Based on our surveys, customer responses, and requests for membership renewals for our CTP Exam study program, the pass rate for the CTP certification with TMExam is over 85%. Don't make the mistake of using an inferior product: invest in yourself and make sure you use a full, comprehensive system designed by those who have taken and passed the CTP Exam like the TMExam prep system. Our ten years of experience has shaped and refined our prep system. We know it works, and we know it brings success to our customers. 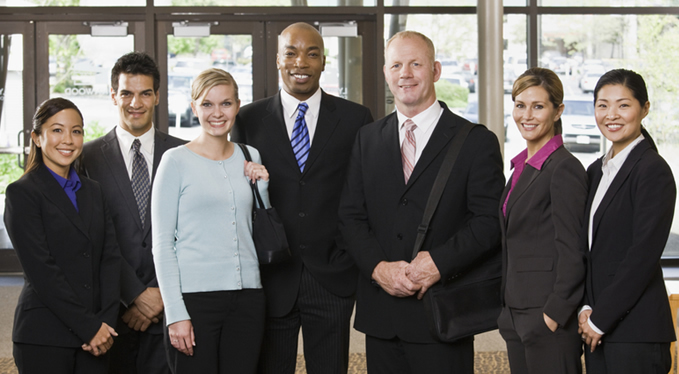 Using TMExam.com along with the Essentials of Treasury Management from AFP will absolutely increase your chances of becoming a Certified Treasury Professional. Let us help you pass the exam on your first try: trust out ten years of experience preparing test-takers. Choose TMExam to help you prepare. We have a Treasury Management background and want you to feel 100% confident that it can help you become a Certified Treasury Professional. Stand behind TMExam, so if you do not pass the CTP exam, or if you transfer your CTP test date, we will happily extend your CTP study prep membership at no cost for up to fourteen months from the date your payment is received. Click Here to see terms and conditions for full details. Becoming a Certified Treasury Professional ("CTP") is difficult, and that's what makes it such an achievement in Treasury Management. CTP certification demonstrates a propensity for independent learning, highlights your intellectual talent, and is a proven investment in your own capabilities: it proves you have full treasury management training, and that you understand treasury and cash management topics in depth. TMExam will increase your chances of passing the Certified Treasury Professional test from AFP. We have been in the business for over ten years: let our experience helping test-takers empower you to pass the CTP Exam on your first try! Over the last ten years, thousands of Treasury, Financial and Cash Management Professionals selected TMExam to help prepare them for the CTP Exam. Since 2005, we have been refining our practice exam database, study guides, flaschards and prep materials. Don't be fooled by quick, cheap, study-guide or flashcard websites -- only TMExam has the track record and ten years of data to provide a system that works, at about 1/8th the price of a comparable, full system (with practice tests, quizzes, several-thousand-question database, etc.). Invest in yourself, and save hundreds of dollars using TMExam.com for the Certified Treasury Professional exam. We are, by far, the best value compared to other CTP Exam options in the market that come anywhere close to our level of comprehensiveness and quality, such as AFP's learning system. *SATISFACTION GUARANTEED: If you use TMExam.com and you do not pass the Certified Treasury Professional Exam (CTP Exam), your full membership will be extended through the next testing window at no charge! We will also extend your membership to the next CTP testing window if you defer your CTP exam for any reason. Proof of enrollment may be required. Your request to extend your account must be made within fourteen months of receiving your initial payment (in other words, your subscription is valid for up to 14 months from receiving your payment). Click Here to see terms and conditions for full details.